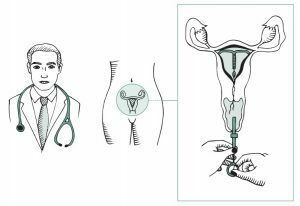 An intrauterine device (IUD) is a small plastic and copper T-shape, which is placed inside the uterus. 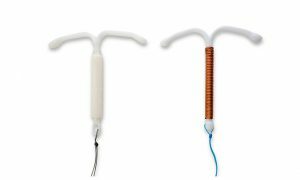 The IUD was invented in the early 1950s, and has been improved over the years, although it is still not a method that all women like. The IUD prevents sperm from reaching an egg or an egg from settling into the lining of the uterus. The intrauterine device is as effective as the pill. Some IUDs also release a small amount of hormones for extra safety. The intrauterine device is inserted into the uterus by a qualified doctor a few days before or after the beginning of your period. A careful check is made to see if you are not pregnant or have any infection. You are given instructions to come back for a check-up at a later date.